During the earliest phase of recovery, detox, the support system is purely medical. This treatment is focused on relieving the physical symptoms as the newly sober person comes from the substance they were abusing. Once the detox period is complete, the primary care rehabilitation can begin and finally onto the sober living stage. During primary care rehab, new skills are built to replace old ones. Cognitive Behavioral Therapy helps the newly sober individual identify potential triggers and plan the coping methods that are to be used. They also assist the patient to develop new coping skills and mend relationships that have been broken. At this stage, it is highly beneficial for the recovering addict to be in an inpatient setting. Inpatient rehab offers a wide variety of benefits. Ongoing support from the primary care rehabilitation facility. Inpatient programs also give individuals a chance to build strong relationships with other newly sober people. They do this through supervised social opportunities as well as group therapy and other activities. Alternative therapies, such as art and music therapy, yoga, tai chi, physical exercise programs and more, also give individuals a chance to socialize. These relationships can continue for years and help both individuals maintain their sobriety. During this time, the support system becomes increasingly important. For the recovering addict with a supportive family and sober friends, that ‘s not hard. For others, this can take work. Relationships formed during the rehab program can help sustain recovery long after the inpatient program has ended. During the later stage of the primary care program, the focus shifts to community-based support. The newly recovered addict has developed new skills needed to begin to rebuild their lives. For the transition into community life to be successful, however, a strong support system is essential. Sober family and friends as well as other people in recovery, therapists, and other professionals should all have a place in this support system. Working with people who have been in recovery for a period of time can also be helpful. They are useful for learning additional skills that will be essential for resisting the urge to fall back into old habits. They can also help the addict identify and avoid troublesome patterns. Community-based support groups are an excellent way to build this strong support system. After completion of the rehab programs, some people need the continued support of a sober living facility. In this environment, sober relationships are formed and previous relationships are evaluated and either healed or abandoned. Supervision makes it impossible to bring any drugs, alcohol or other paraphernalia into the facility. Weekly, or even daily, drug tests are also a typical part of the program. After sober living, there comes a time when the recovering addict must reenter the community. At this point, temptations run high. At this time, a strong support system during recovery is most important. Having accountability partners can help keep the addict sober. Having sober friends can provide a useful social outlet. 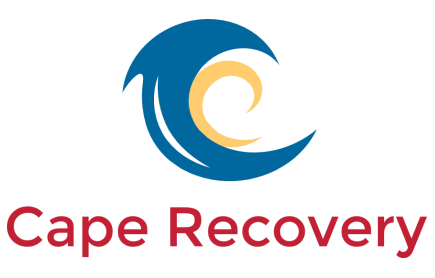 Relapse remains a constant threat for those who are recovering from addiction to drugs and alcohol. Thankfully, with a strong support system, this risk can be minimized. A strong support system during recovery helps to give the recovering addict a sense of accountability as well as helping them avoid isolation. It can also provide a source of resources, advice and more for continued sobriety. Prev Previous post: Why Are Sober Living Facilities So Important?